W&H Supplies have opened a new position and looking for a cooker advisor/ demonstrator? Do you have experience of using a range cooker? We are looking for an experienced cook to work for us every Saturday from 9am till 4pm in our range cooker showroom. You may be required to also help on the live cooker demonstrations that are held here at W&H Supplies these will be discussed every couple of months when they have been arranged. You would be responsible for preparing food for our customers in our brand-new showroom and advise on suitable models. We offer a selection of the top and best-known range style cookers available in the UK. 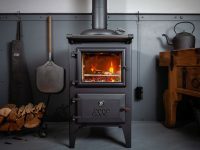 We can supply Aga, Esse, Everhot and Rayburn with many on display and demonstration models live. We have regular demonstrations for potential and existing customers to understand the best use of their new cooker. These ranges support electric, natural gas, lpg, wood and oil as fuel sources. Experience with heat store cookers desirable but not essential. Please call Bianca on 01903 885566 or email reception@whsupplies.com for more information.